I am guilty. As an early adopter of the Kindle, I feel personally responsible for the wild melee I saw at the Madison Square Garden Borders Books yesterday: crowds with arms full of books, devouring what’s left of another relic–the bookstore chain. I mourned when I heard that Borders was closing its doors. The signs on the windows advertised big sales, “Everything Must Go!” A very helpful staffer said they think it will take until September to empty the warehouses. One could see the problem: even at closing-the-doors sales prices, I could do better online. Still, out of respect for the dearly departing, I bought a copy of journalist Ellis Cose’s new book, The End of Anger–$19 instead of $24.99. I reminded myself to tell one of my dearest friends, the economics writer Jeff Madrick, that his new excellent book about our economic downfall, The Age of Greed is on prominent display–perhaps he’d like to pick up a few discounted copies? Perhaps I should buy them all? Sadness all around. Borders was slow on the e-reader front. Based, I’m sure, on prospects of the Nook, media/technology investor John Malone has offered a handsome sum for Barnes&Noble, the remaining chain. Malone saved Sirius/XM radio–hopefully he can save B&N. 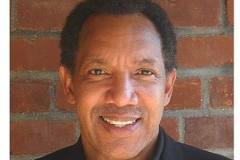 By coincidence, I will be surrounded by, immersed in books and writers today at the 13th annual Harlem Book Fair. Max Rodriguez, publisher of QBR, the black review of books, has always provided a celebratory, informative gathering honoring black writers and their output. It’s a place for readers. A place for books. Before the recession, a crowd of book buyers as large as 50,000 massed on 135th Street and Lenox Avenue, spilling out of the Schomburg Library. 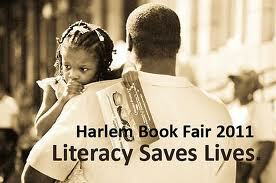 I’m counting on The Harlem Book Fair to restore my faith in the book’s future.